Introducing a superior quality of shade. Shadowspec are shade solution specialists. Our outdoor umbrellas are designed to suit shading needs in all conditions. Mount them to the wall or the ground. Single centre pole or offset and cantilever models are available so you can make the shade work for you. 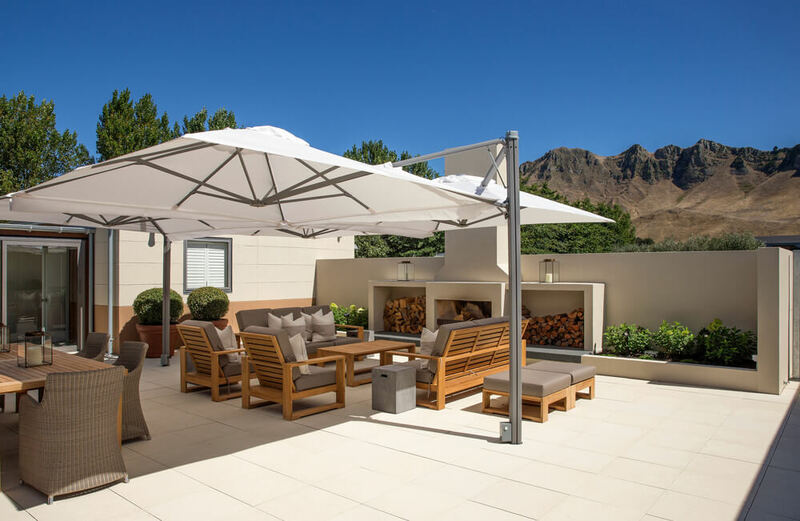 Transform your space and protect your guests with an outdoor umbrella. UV protection in the sun and waterproof for when the weather turns. 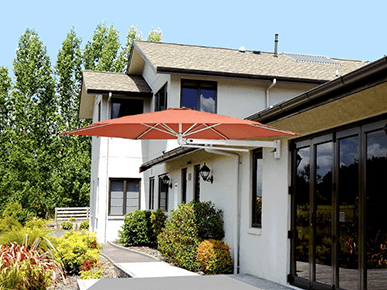 Cantilever umbrellas are our specialty. Create unique experiences for your guests with our SU range of umbrellas. Choose from a variety of curated Sunbrella fabric options to create the best style for your space. Cantilever umbrellas are great for dining areas, keeping the mast to the side to create unobstructed chat all day and night. Our range of centre pole models are resilient, classy and a breath of fresh air to your poolside and patio areas. Maximising the enjoyment of your spaces. Heavy-duty commercial centre pole umbrellas are perfect for shading a large area. Your patio could even benefit from our Cafe & Market Umbrella, great for creating a personal experience for your guests. Wall-mounted umbrellas are another great option. 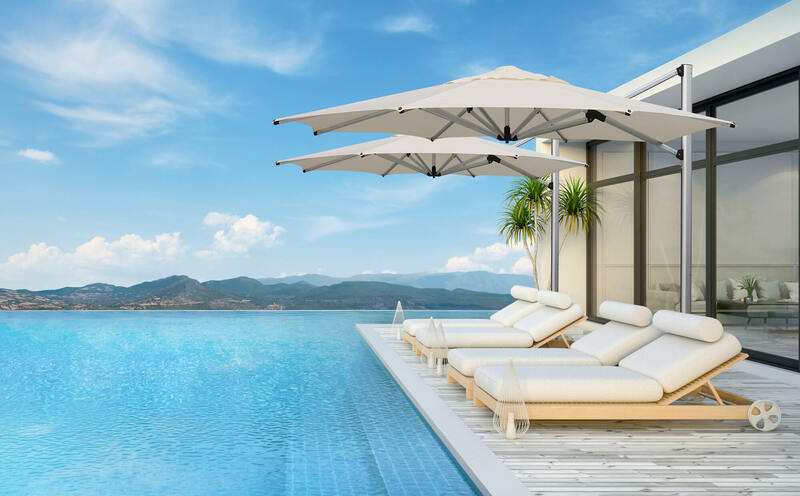 Spa pools swimming pools or a comfortable hammock are all great to put under one of our wall mounted options as they can blend into your current surrounds. 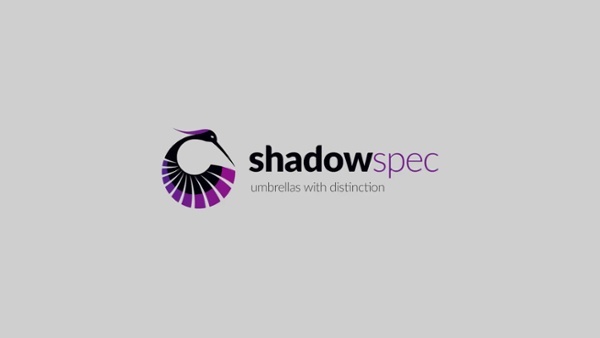 There’s an umbrella for everyone and Shadowspec are experts in shade. Browse our range and get in touch with us to speak with a shade specialist.